In April 2015, a paper by Chinese scientists about their attempts to edit the DNA of a human embryo rocked the scientific world and set off a furious debate. Leading scientists warned that altering the human germ line without studying the consequences could have horrific consequences. Geneticists with good intentions could mistakenly engineer changes in DNA that generate dangerous mutations and cause painful deaths. Scientists — and countries — with less noble intentions could again try to build a race of superhumans. Human DNA is, however, merely one of many commercial targets of ethical concern. The DNA of every single organism — every plant, every animal, every bacterium — is now fair game for genetic manipulation. We are entering an age of backyard synthetic biology that should worry everybody. And it is coming about because of CRISPRs: clustered regularly interspaced short palindromic repeats. Discovered by scientists only a few years ago, CRISPRs are elements of an ancient system that protects bacteria and other single-celled organisms from viruses, acquiring immunity to them by incorporating genetic elements from the virus invaders. CRISPRs evolved over millions of years to trim pieces of genetic information from one genome and insert it into another. And this bacterial antiviral defense serves as an astonishingly cheap, simple, elegant way to quickly edit the DNA of any organism in the lab. Until recently, editing DNA required sophisticated labs, years of experience, and many thousands of dollars. The use of CRISPRs has changed all that. CRISPRs work by using an enzyme — Cas9 — that homes in on a specific location in a strand of DNA. The process then edits the DNA to either remove unwanted sequences or insert payload sequences. CRISPRs use an RNA molecule as a guide to the DNA target. 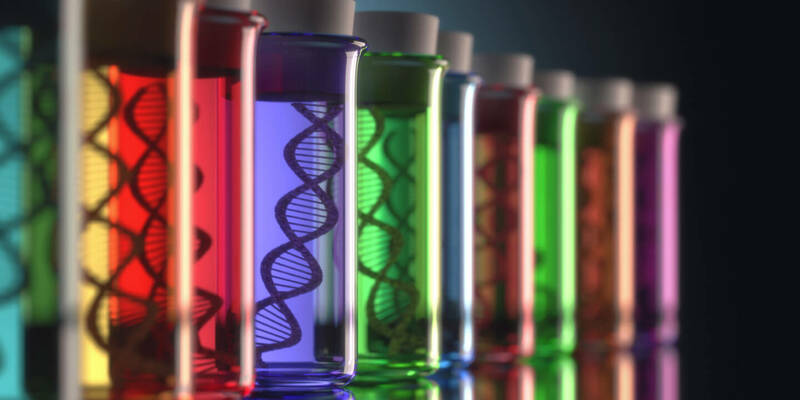 To set up a CRISPR editing capability, a lab only needs to order an RNA fragment (costing about $10) and purchase off-the-shelf chemicals and enzymes for $30 or less. Because CRISPR is cheap and easy to use, it has both revolutionized and democratized genetic research. Hundreds, if not thousands, of labs are now experimenting with CRISPR-based editing projects. A race is on between the major research institutions to file CRISPR-technique patents. Research dollars, both public and private, are pouring into CRISPR projects. Meanwhile, a panoply of leading geneticists — including one of the developers of the CRISPR technology — has urged for a moratorium on alterations to the human germ line until the implications of messing with human DNA are further studied and safeguards put in place. Changing human DNA creates, for scientists and humanity, a frightening ethical grey zone. On the one hand, for the many millions of poor souls suffering from diseases arising from genetic defects, CRISPR and the research it fuels could mean finding a cure for their problem in their lifetimes. On the other hand, changing the human germ line is incredibly risky without much better knowledge of how our DNA actually works. Though scientists now commonly sequence human DNA, they still struggle to understand how the different pieces of the human genome work together. For example, until recently, scientists thought that much of our genetic material was useless and served no purpose. They called it “junk” DNA. In a previous era, they might have considered editing the junk out of our genes. Now, research is emerging showing that junk DNA plays a key role in regulating genetic expression (effectively turning various genes on and off), regulation that is fundamental to the biological processes that govern our bodies and our endocrine systems. What if a well-intentioned researcher develops a cure for one of these diseases and shares it with thousands of sufferers before realizing that the cure is far worse than the disease and that the side effects are painful — or even deadly — and easily spread from person to person? Such a scenario could arise through good intent. But in the hands of evil biohackers, these powerful and simple tools are a cause for alarm. A smart biohacker could alter the influenza genome, for example, to make it more potent, setting off an epidemic that kills hundreds of millions of people. Though a nuclear weapon can cause tremendous long-lasting damage, the ultimate biological doomsday machine is bacteria, because they can spread so quickly and quietly. No one is prepared for an era when editing DNA is as easy as editing a Microsoft Word document. The government does not have any regulations on editing human DNA. The ethical concerns have not been fleshed out. There is no centralized risk-management inventory, listing which labs are doing what with CRISPR. It’s all rather terrifying. Rarely do I argue that a moratorium on technological progress is the prudent course. But the stakes in the case of CRISPR are so high that I believe a blanket moratorium is the only course. Yes, rogue scientists may nonetheless continue working at modifications on the human germ line; and that could endow them with a first-mover advantage and unfair knowledge. But such a moratorium could be as effective as the global moratorium on the cloning of humans has been: at the least, scientists such as those who engineered the human embryos in China would become international pariahs rather than being celebrated for publishing papers in prestigious publications. 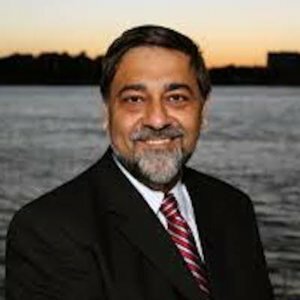 Vivek Wadhwa is Distinguished Fellow and professor at Carnegie Mellon University Engineering at Silicon Valley and a director of research at Center for Entrepreneurship and Research Commercialization at Duke. His past appointments include Stanford Law School, the University of California, Berkeley, Harvard Law School, and Emory University.